Home News Film News Isn’t It Too High and Risky For Nani? Isn’t It Too High and Risky For Nani? Director Vikram Kumar’s last two films 24 and Hello were cost failures as they couldn’t recover the high costs spent on them. However, the director has reportedly asked for high budget again. 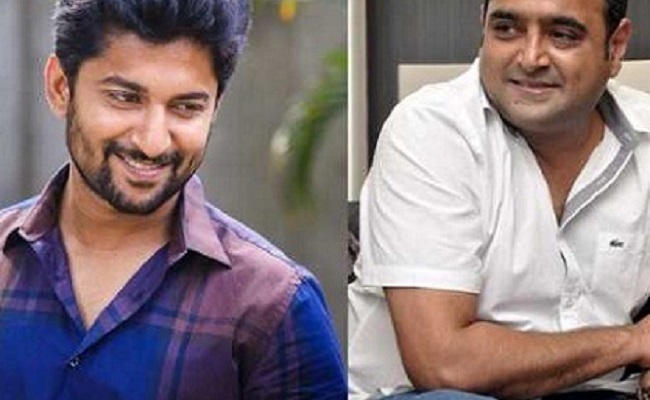 Vikram Kumar’s next with Nani is a romantic thriller in which the latter romances five glamorous heroines. Vikram Kumar is planning to make on a very lavish scale and asked for Rs. 50 crore budget that is pretty high and too risky for Nani’s market. Nani’s successful films can collect Rs. 40 crore from theatricals and other rights would ensure breakeven status for the makers. But what if the film fails? Krishnarjuna Yuddham and Devadas couldn’t even go past Rs. 25 crore mark when the word of mouth wasn’t positive. Given Vikram’s track record and Nani’s recent form Rs. 50 crore is surely a tough ask. They will need to ensure that the film is a blockbuster for the producers to make decent profits on such a huge investment.